The conviction rate in DUI test cases is usually quite high, although statistics vary. It is difficult to challenge the Breathalyzer results except in borderline BAC cases, such as a .08 or .09. Moreover, Florida has a per se DUI law. Defendants who have a BAC above the legal limit are intoxicated as a matter of law. But in refusal cases, the conviction rate is often below 50 percent. There is no per se law, so prosecutors must work harder to obtain convictions. Moreover, they must rely on often shaky circumstantial evidence. 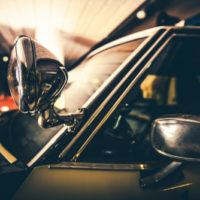 In almost all cases, such evidence comes from the three National Highway Transportation Safety Administration-approved Field Sobriety Tests (FSTs). This test is sometimes called the heel-to-toe walk or the walking-a-straight-line test. The defendant must walk a certain number of steps, usually fifteen, heel to toe. Then, the Florida defendant must spin around and walk back to the starting point in the same way. Some intoxication clues include losing count of the steps, swaying while walking, or failing to walk heel to toe. The WAT is a divided attention test which measures both physical dexterity and mental acuity. People who are intoxicated have a hard time multitasking. It’s very difficult for them to do two things at once, like keep their eyes on the road and watch their mirrors. Port St. Lucie police officers almost always administer this test on the side of the road. Cars whiz past and the squad car’s overhead lights flash nearby, making it difficult to maintain balance and concentration. Furthermore, it is usually dark. These deficiencies are magnified if the defendant must walk an imaginary line instead of an actual line or if the surface is not entirely flat and level. Like the WAT, the OLS is a divided attention test. The defendant must raise one leg at a certain angle, usually forty-five degrees, and keep it elevated until the officer says “put the leg down.” During the test, officers look for clues, such as using arms for balance, lifting the wrong foot, or setting the foot down early. The instructions for this test set the defendant up for failure. Usually, the officer does not tell the defendant how long to keep the leg up. Many people therefore become fatigued and either set their legs down early or become unsteady. Moreover, perhaps even more than the WAT, many officers focus on minor technicalities. That could be something like holding the leg at a slightly incorrect angle or a nearly imperceptible sway. The Port St. Lucie officer always testifies that the defendant “failed” the test on that basis. However, the jury decides whether or not the defendant passed or failed. And, the jury’s conclusion is the only one that counts. Most people have visited a doctor who checks for nystagmus, or involuntary eye movements. People with nystagmus are not able to track moving objects with just their eyes. If the defendant shows more than six clues (three in each eye), the officer usually concludes that they have nystagmus. Such birth defects, and not intoxication, are the leading cause of nystagmus in Port St. Lucie adults. Another problem is that the test is not very accurate if the officer conducts it outside a controlled laboratory environment. As mentioned earlier, a roadside HGN test most definitely does not take place in a controlled environment. Florida prosecutors must establish intoxication beyond a reasonable doubt. If they must rely exclusively on circumstantial evidence, this burden of proof is very difficult to meet. For the defendant, the result is often a successful verdict at trial or a very favorable plea bargain agreement. Circumstantial evidence DUI cases are often winnable. For a free consultation with an experienced criminal defense attorney in Port St. Lucie, contact Eighmie Law Firm, P.A. Home and jail visits are available.